Enjoy 3 days classes per week through blended learning. 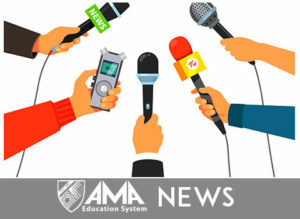 Take advantage of Blended Learning at AMA Education System Schools. Today AMA Senior High students who enrolled in one of the AMAES schools experience “BLENDED LEARNING SYSTEM” – an instruction method used in many parts of the world that combines face to face (via a teacher in the classroom) classes and online learning. Detailing this method, students spend time about 50% with a teacher in school and 50% online. For three days a week, they study in the classroom and the other two days is spent for online studying at their chosen place, time and pace, thus giving them the opportunity to better understand a subject matter before moving on to the next lesson. Another advantage is having more time for other activities, be it school related or for personal purposes. This innovative and highly advanced learning method gives students a definite edge not just in I.T. but in any industry or field that requires early computer skills or similar competencies. Blended learning approach aims to modernize Senior High in the country and prepare students for careers requiring knowledge in technology and online training or classes they might take in future that is essential for career advancement. For more information about AMA Senior High, please call or visit any AMAES member school nearest you. 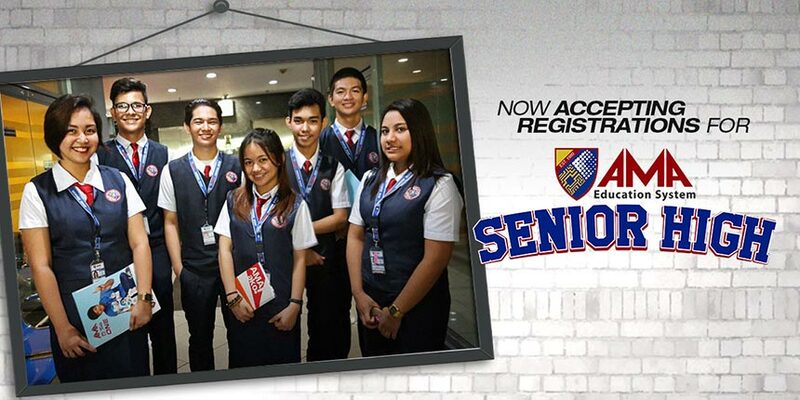 Learn how to choose the right Senior High School Track for you.